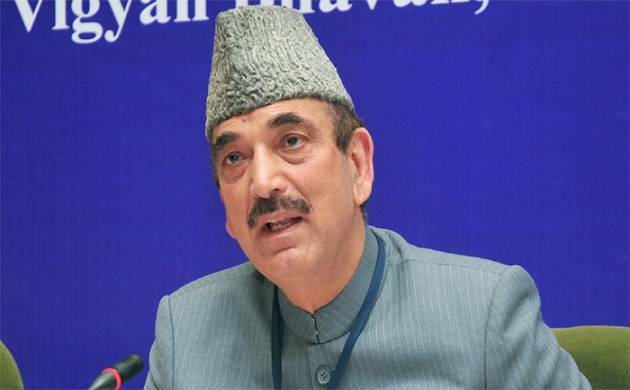 Senior Congress leader Ghulam Nabi Azad supported the idea of forming a 'mahagathbandhan' (grand alliance) along with the SP and the BSP in UP to counter the surge of the BJP. The idea of forming a 'mahagathbandhan' (grand alliance) along with the SP and the BSP in Uttar Pradesh to counter the surge of the BJP, was supported by Senior Congress leader Ghulam Nabi Azad on Sunday. "The idea of 'mahagathbandhan' is good", the Leader of Opposition in the Rajya Sabha said in Lucknow. However, Uttar Pradesh Congress chief Raj Babbar, while commenting on the issue, said, "It is too early to say. If we do not honour the feeling of the people and workers, it will be wrong. We will also talk about 'mahagathbandhan' with our senior leaders." He also claimed the Congress does not practice votebank politics as done by Samajwadi Party chief Akhilesh Yadav. The party's Rajya Sabha MP Pramod Tiwari, when asked about the idea of formation of a grand alliance with the SP and the BSP, said, "My best wishes are with them." Samajwadi Party president Akhilesh Yadav on Saturday had backed the idea of forming a coalition of political parties against the BJP, saying, "There should be a coalition, which can pave the way forward. We are ready to welcome it. We had welcomed such a move earlier too." BSP chief Mayawati too had asserted that she would join hands with other parties to take on the BJP. The Congress' district unit presidents, who had gathered here to deliberate upon the strategy for the upcoming civic body elections in the state, alleged that the pre-poll tie-up with the SP was a "major road block" for the party's prospect in the Assembly elections. The SP and the Congress had contested Uttar Pradesh Assembly polls together in which the alliance managed to get only 54 of the 403 Assembly seats. The SP had contested on 298 seats and the Congress on 105 seats. The Congress managed to win only seven seats. "Most of the district presidents are of the view that the SP-Congress pre-poll alliance proved to be a major road block for the party's poll prospect in the 2017 UP Assembly elections", a party office bearer who attended the meeting said on condition of anonymity. According to party sources, nearly 30-40 district chiefs of the Congress, from eastern and central Uttar Pradesh, attended the meeting at the party's state unit headquarters here. Speaking to media persons, Tiwari said, "The party workers are sad over the poll outcome in Uttar Pradesh Assembly election, but their morale is high and we will resurrect the Congress with the help of this spirit." On any possible change in party leadership at the state level, he said, "There is no question of any hint being given in any organisation. Whenever changes take place, it will be visible to all."